Musical settings of the Mass for the Dead have a tendency to dwell on the dramatic high points of the day of judgement and the trumpets of doom (Dies irae and Tuba mirum) – partly for the reason that they really are dramatic high points. 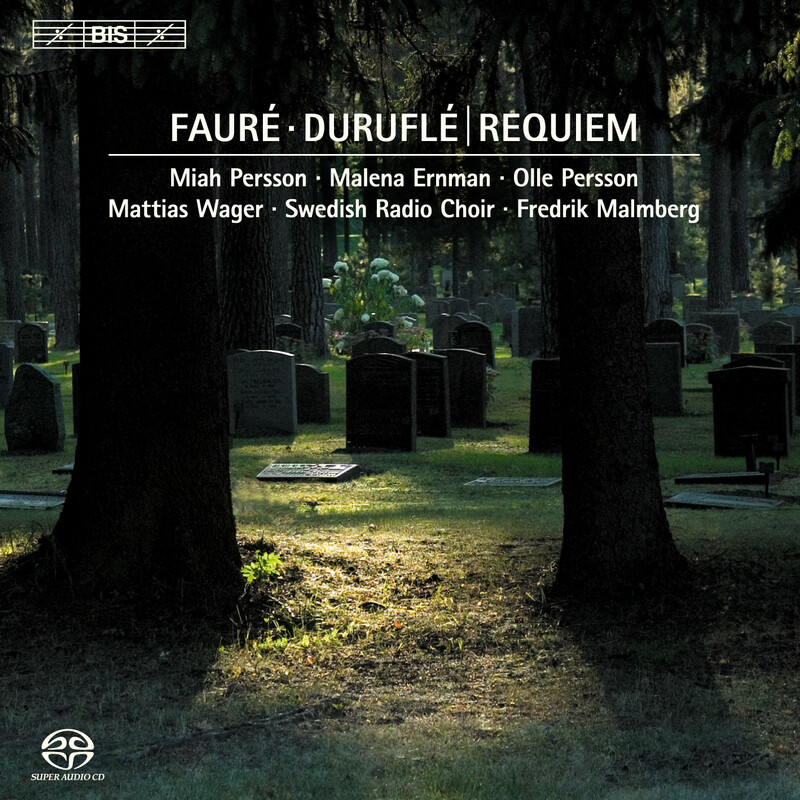 With their respective Requiems, Gabriel Fauré and Maurice Duruflé wanted to express something different, something which Fauré himself described as a ‘trust in eternal rest’. Indeed, when hearing the description of his work as ‘a lullaby of death’, Fauré approved of it. It is the eternal light and peace wished for in the Mass that both composers infused their Requiems with (to the point of actually omitting the more doomladen passages). These qualities are certainly part of the palette of the magnificent Swedish Radio Choir – the favourite vocal instrument of many of the world’s greatest conductors, including Claudio Abbado and Riccardo Muti. The choir’s previous disc on BIS (BIS-CD-1157) consisted of works by Schnittke and Pärt in performances described as being ‘of commanding, awesome brilliance…with a virtuosity and commitment that are astounding’ (Int. Record Review) and ‘refulgently passionate’ (BBC Music Magazine). 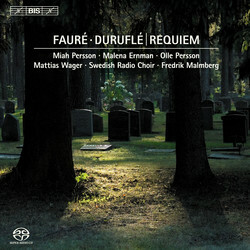 On this disc, the choir, directed by Fredrik Malmberg, is joined by three of Sweden’s foremost singers – all of them represented on previous BIS recordings – as well as organist Mattias Wager, who has also supplied the organ arrangement of Faurés orchestral score. Please note: The music on this Hybrid Super Audio CD can be played back in Stereo (CD and SACD) as well as in 5.0 Surround sound (SACD).